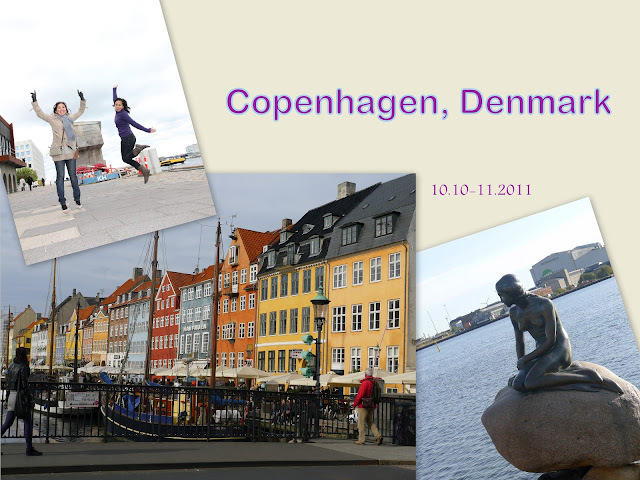 the adventure continues.. this time, up in northern Europe - Denmark! Copenhagen greeted us with a chill of autumn air. but that was not the only thing that greeted us! on our way out of the train station and to the hotel, this life-sized pumpkin-man on a bicycle caught our eye - it was afterall, nearing halloween. 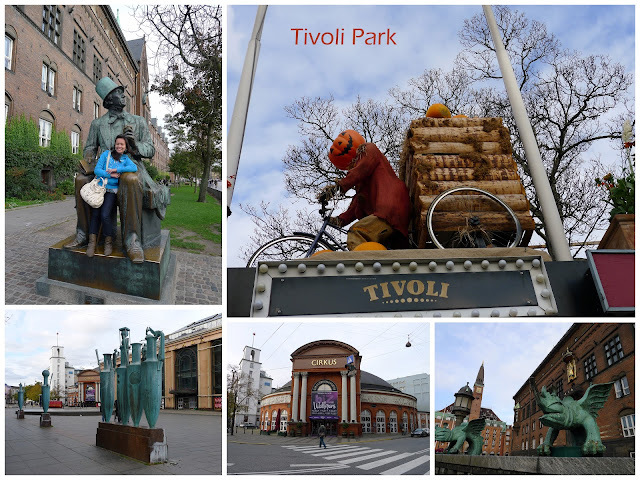 This was the entrance to Tivoli, an amusement park in Copenhagen. Unfortunately, the park was closed for the season. after a quick stop at the hotel, we were ready to rumble! we went around the city center and the city square. Once again, because this is still Scandinavia, alot of mini-vikings and mini-trolls for souvenirs were seen. Stroget is the main shopping district of Copenhagen. shops hustle and bustle anywhere, and tourists flock from all sides. here in Stroget we also found Jensen's, a restaurant we loved so much that after having dinner on the first day, we came back for lunch on the next! on the second day, I met up with Calai, my highschool barkada, who is based on Denmark. it was refreshing to meet a dear friend in a faraway (and cold) land. 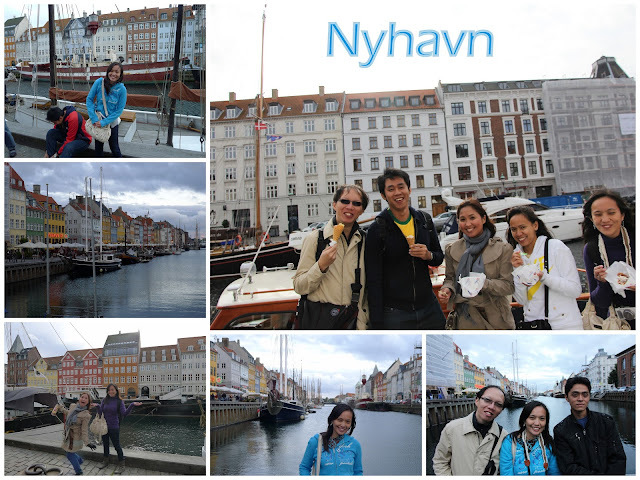 basically, we had our own tourist guide on that day - one who knows Copenhagen by heart. Nyhavn is a 17th century waterfront, canal and entertainment district. it is lined with colorful 17th and 18th century houses and historical wooden ships. Nyhavn, being a famous spot for entertainment is also filled with bars, restaurants and cafes. Calai introduced us to one of the ice cream places (yes, ice cream on a cold autumn day) where I had belgian waffles. Belgian waffles may not originate from Denmark, but boy, were those waffles delish! Denmark is famous for The Little Mermaid. 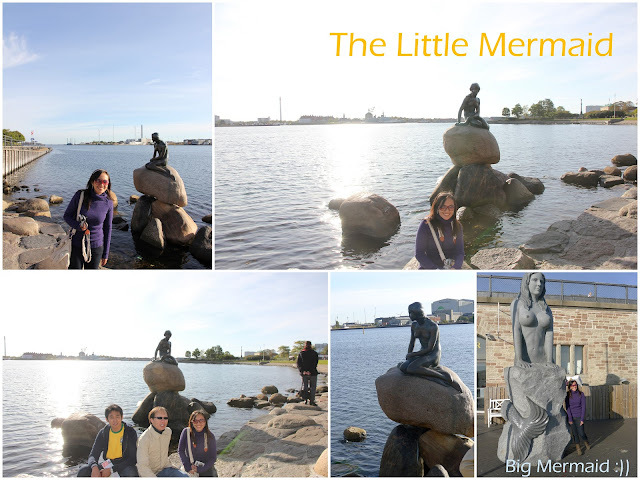 Based on Christian Andersen's fairy tale of the same name, this 4feet statue of a mermaid is a major tourist attraction in Copenhagen. Discovering the Little Mermaid for ourselves was an adventure on it's own - we were lost, we haven't met up with Calai yet and we only had our itineraries and mini-maps with us. (Being abroad, weaned off 3G and all the navigation apps available makes you really go old school - old school lost! lol) we were walking in circles around the harbour district knowing full well that Little Mermaid was just nearby. One of us yelled, " i found a mermaid!" Imagine the look on our faces when it was another mermaid (chuckling, we dubbed it as the BIG mermaid) which greeted us! I was like, uhm, that's not it! Good thing we saw droves of tourist buses passing by and upon following their direction, we got led to the real thing. 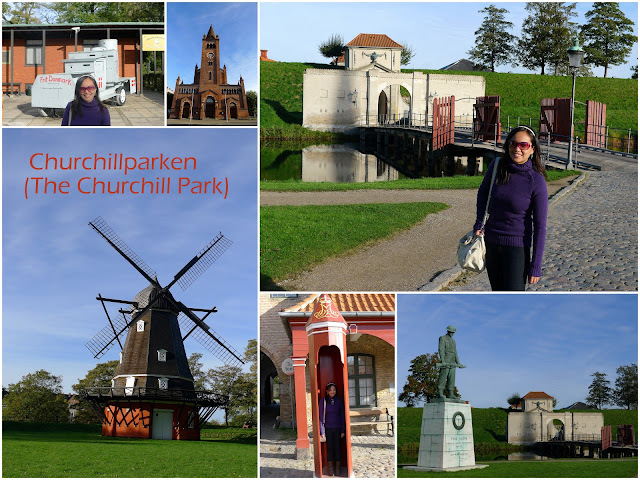 The Churchill Park is a public park occupying a tract of land in between the Kastellet, a 17th century fortress and the street Esplanaden. St. Alban's Church and the Museum of Danish Resistance are located within the boundaries of the park. 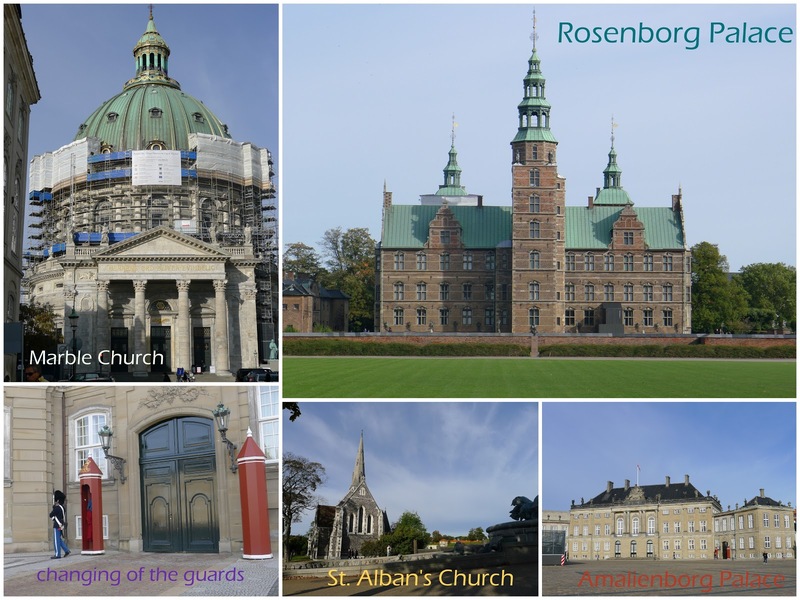 Rosenborg Palace is a small but pretty renaissance palace while Amalienborg Palace is the winter home of the Danish Royal Family. Frederikskirken, colloquially known as the Marble Church, is a massive dome with a span of 31 meters, is one of the largest in northern Europe. 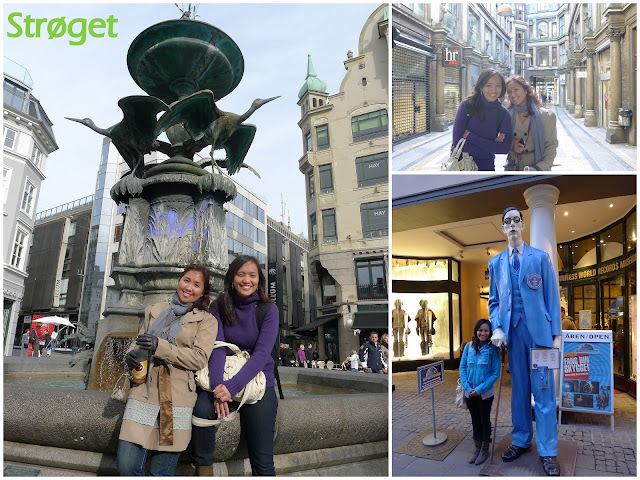 Among other things, it was definitely one fun-filled weekend at Copenhagen.